Home » OSL Blog » Brown Rice vs. White Rice: Which One Is Best for You? Brown Rice vs. White Rice: Which One Is Best for You? Rice is a classic bodybuilding staple and comes in lots of different varieties. 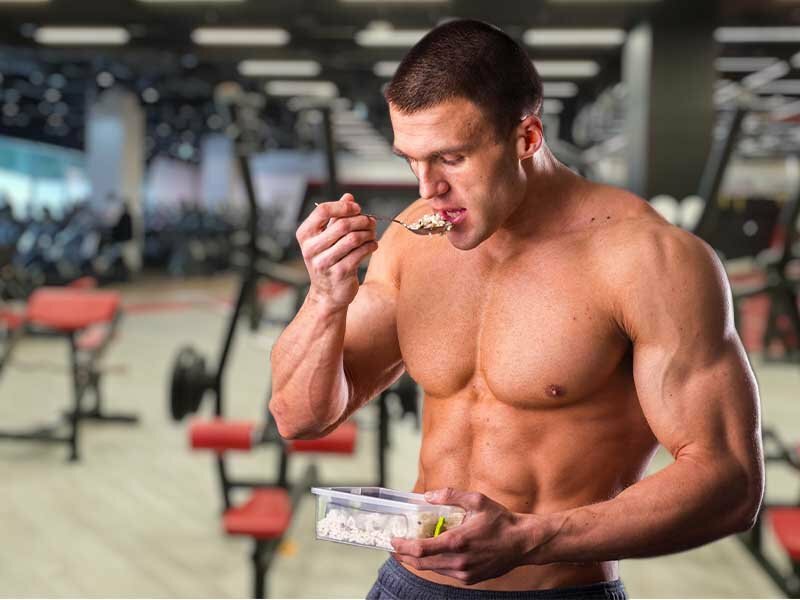 In fact, when most bodybuilders talk about contest dieting, they refer to it as the “chicken and rice diet” because these are the foods most commonly associated with a bodybuilder’s specific nutrition plan. More than 40,000 types of rice exist. There’s white rice, brown rice, wild rice, red rice, and everything in between. Some are higher in fiber, while others boast more protein and fewer carbs. The brown rice vs. white rice nutrition debate has been around for decades. From a nutritional perspective, the latter is not so great considering its high glycemic index and low fiber content. From a sports standpoint, though, things are a little bit different. After all, there’s a reason why bodybuilders and powerlifters prefer white rice over whole varieties. But what’s the different between the two? Is brown really more nutritious — or is it just another health fad? 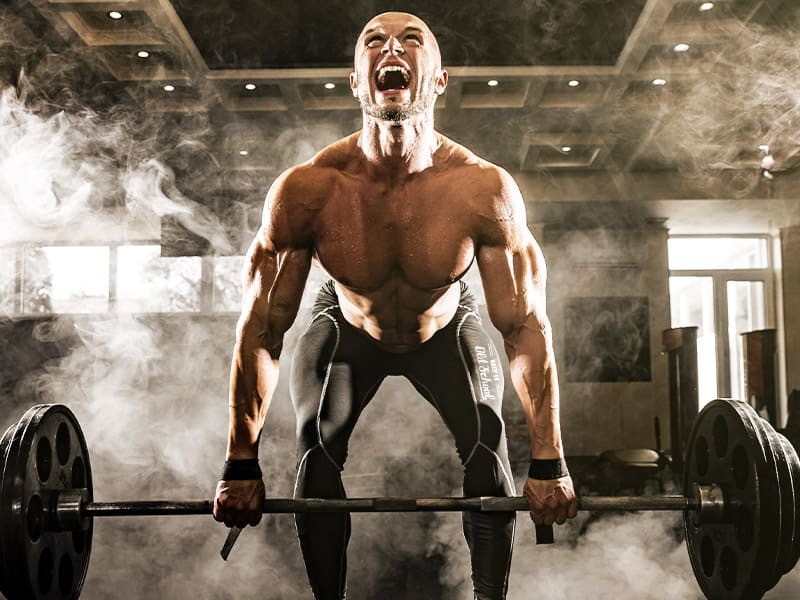 Most importantly, which one is best for muscle and strength gains? Let’s find out! Is Rice the Ultimate Carb Source? Rice is a classic bodybuilding food. Cheap and easy to prepare, it goes well with most foods and boasts your energy instantly. Plus, you can cook it in large batches and store it for later use. Athletes and bodybuilders love this food for its convenience. It’s enough to look over the menus posted on Instagram. From the classic chicken and rice to fancy dishes like sun-dried tomato risotto and slow cooker paella, there are endless combos you can experiment with. On top of that, rice fuels your gains. Rich in carbs, it helps replenish muscle and liver glycogen stores, leading to faster recovery. For many bodybuilders, rice is their primary carb source; they eat in the morning, before and after training, and even before bedtime when bulking up. This grain isn’t just versatile but nutritious too. It’s high in carbs and micronutrients that fuel extreme training and provide quick energy. As an athlete, you know that fat loss isn’t everything — on the contrary, you’re trying to get bigger and stronger, so going low on carbs is out of the question. Bodybuilders, strongmen, and other athletes require large amounts of carbs for optimum performance. Many times, their meal plans include three or four times more carbs than the amount of protein consumed. Additionally, rice is quite high in calories, making it easier to put on weight and build mass in the offseason. 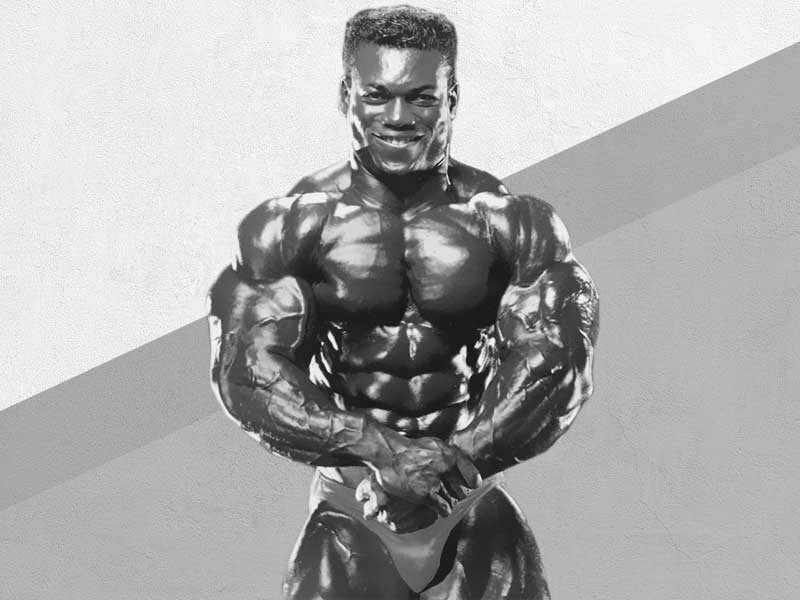 Massive bodybuilder Victor Richards, who was renowned for his incredible size and bulk, reportedly ate up to 3 pounds of brown rice a day when he was in heavy training. White rice, though, gets a bad rap because of its high carb content. However, this doesn’t necessarily mean that it’s bad for you. Let’s see who wins the white vs. brown rice debate! It’s also a good source of calcium, potassium, magnesium, copper, and other trace minerals that support overall health and physical performance. Even though is lower in some nutrients than brown rice, the actual difference per serving is negligible. Additionally, it’s easier to digest because it contains less fiber compared to its whole counterpart. But don’t you need fiber to stay full longer and stick to your diet? According to science, there’s no difference between white and brown rice in terms of satiety. A 2013 study published in the Journal of Obesity & Weight Loss Therapy has found that both varieties are equally satiating. Furthermore, they suppress appetite and increase fullness to a greater extent than pure liquid glucose. White rice is also rich in thiamin, folate, niacin, and other B-complex vitamins. These nutrients play a key role in energy production and metabolism, support brain function, and promote muscle repair. In a 2016 clinical trial, ultra-marathon runners who took riboflavin supplements before and during the race reported less muscle pain and soreness after the event compared to the placebo group. Another study, which was conducted by Oregon State University, has linked vitamin B deficiency to poor athletic performance. According to research, athletes who don’t get enough B vitamins in their diet perform worse during high-intensity training and find it harder to build muscle and recover from exercise compared to those with a high vitamin B intake. Brown rice is considered a healthier alternative to white rice. However, this doesn’t necessarily translate into improved physical performance. In fact, there’s no reason to include it in your diet unless you like its taste and aroma. As you see, macronutrient ratios in brown and white rice are quite similar. The difference between the two lies in their micronutrient values. It’s pretty obvious that brown rice is higher is selenium, manganese, phosphorus, and B-complex vitamins. When it comes to the brown rice vs. white rice debate, consider your health and fitness goals. If you prioritize muscle and strength gains or focus mostly on your macros, both rice varieties can fit into your diet. From a health perspective, brown rice is more nutritious and may provide greater benefits. Studies conducted over the years indicate that brown rice is superior to its white counterpart. First of all, it contains all parts of the grain, namely the germ, bran, and endosperm. White rice, by comparison, has the germ and bran removed, so most of its fiber is lost. Brown rice provides 3.5 grams of fiber per cup, while the same amount of white rice has only 0.6 grams of fiber. That’s not a really big difference considering that the daily recommended intake of fiber is 25 grams per day for a 2,000 calorie diet, according to the American Heart Association. However, it’s enough to slightly alter the glycemic index (GI). Cooked white rice has a GI of 73, which is considered high. White bread, by comparison, has a GI of 75. Brown rice isn’t too far either — its glycemic value is 68. One important note is that these glycemic indexes of foods are skewed when they are mixed with other foods. White rice would not have the same glycemic index if that food was eaten with a protein food that is high in fat like steak or salmon. Unless you have diabetes, these small differences don’t really make a difference. What you should care about is the fiber content. Dietary fiber slows down sugar absorption into the body, which in turn, helps prevent insulin and blood sugar spikes. For this reason, white rice would be the preferred source of whole food carbs that you should ingest immediately after a training session. Researchers have found that swapping white rice for brown rice may reduce postprandial blood glucose levels and protect against diabetic vascular complications in the long run. In another study, which was featured in the Journal of Nutritional Science and Vitaminology, diabetic subjects who consumed re-germinated brown rice experienced greater improvements in total cholesterol, fasting blood glucose and triacylglycerol levels compared to the white rice group. Other studies have linked white rice to a higher risk of diabetes and insulin resistance. Scientists attribute these potential adverse effects to its high glycemic index and low levels of fiber, lignans, vitamins, and other nutrients. According to a 2014 review published in the BMJ, each serving of white rice consumed daily may increase diabetes risk by as much as 11% in the general population. While it’s true that fiber supports digestive health and aids in glycemic control, it has little impact on exercise performance. Additionally, it may cause bloating and digestive distress in some people, especially those suffering from IBS and other GI disorders. Many athletes avoid high-fiber foods before training and competitions because they may cause stomach pain. According to Central Washington University, 30% to 50% of athletes experience digestive problems if they eat before a race or other sports events. High-fiber foods, fatty foods, caffeine, and stress only make things worse. The feelings of fullness and discomfort can keep them from performing their best. As we’ve mentioned earlier, fiber slows sugar absorption into the bloodstream. After a workout, though, you need a quick source of carbs to replenish your glycogen stores and fuel your muscles into growth. It’s not uncommon to see bodybuilders and powerlifters who add dextrose, glucose, or honey to their post-workout protein shakes. White rice is low in fiber and high in simple carbs. Therefore, it provides an immediate source of energy. The carbs in brown rice, on the other hand, take longer to digest and reach your bloodstream. When it comes to vitamin B, it’s clear who wins the white vs. brown rice debate. The latter provides more than 15% of the RDA of niacin, 14% of the RDA of vitamin B6, 12% of the RDA of thiamin, and 6% of the RDA of folate per cup. Your body needs these vitamins to produce red blood cells, hormones, and cholesterol. White rice contains these nutrients too but in smaller amounts. There’s one exception, though. Compared to brown rice, it’s a lot higher in folate. One cup of cooked white rice provides 23% of the RDA of folate, while the same quantity of brown rice delivers 2% of the daily recommended folate intake. This B vitamin is particularly important for athletes. According to a 2013 study published in the Journal of the International Society of Sports Nutrition, intense physical activity may deplete folic acid in the body, leading to a higher risk of heart disease. Researchers point out that folic acid supplementation may help maintain homocysteine levels and protect against cardiovascular problems. The study was conducted on handball players, but its findings apply to most athletes. Regular exercise keeps your heart healthy, but it also triggers inflammation and raises homocysteine levels — especially when done at high intensity. Elevated homocysteine levels contribute to blood clots and arterial damage. As Healthline notes, this condition is often due to folate or vitamin B12 deficiency. Folate plays a crucial role in DNA synthesis and helps your body absorb and break down amino acids. High-performance athletes may require folic acid supplementation to prevent deficiencies and ward off cardiovascular disease. If you simply enjoy training or hit the gym a few times a week, folate supplements may not be necessary. One cup of white rice provides about a quarter of the recommended daily intake of folic acid. Whole grains, leafy greens, cruciferous vegetables, eggs, legumes, and citrus fruits contain this nutrient too, so a balanced diet should provide more than enough folate. About half of Americans are deficient in magnesium. This is the fourth most abundant mineral in the body and contributes to over 300 biochemical reactions, from protein synthesis and energy production to nerve and muscle function. Even the slightest deficiency can affect your health and well-being as well as your athletic performance. The human body cannot metabolize vitamin D without sufficient magnesium levels. If your diet is low in magnesium, you’re likely deficient in vitamin D too. This vitamin aids in calcium absorption, keeping your bones strong. Brown rice contains four times more magnesium than its white counterpart. This should be reason enough to get more of it in your diet. As an athlete, you need magnesium to perform at your peak and get the energy needed for intense training. During exercise, you’re losing magnesium through sweat and urine. That’s why athletes and physically active individuals need 10% to 20% more magnesium compared to the average person. A low magnesium intake can affect your performance, suppress immune function, and cause arrhythmias. In a study, triathletes who took magnesium supplements for four weeks experienced reductions in cortisol and insulin levels and had faster cycling, running, and swimming times during a race. Another study, which was conducted on volleyball players, as found that athletes who supplemented with magnesium daily experienced major improvements in jumping and arm swing values. This mineral improves exercise performance by increasing glucose availability in blood, brain, and muscles. At the same time, it reduces and delays lactate accumulation, leading to faster post-workout recovery. Magnesium deficiency has been linked to muscle cramps and soreness, decreased endurance, elevated blood pressure, and fatigue. What about the Arsenic and Phytic Acid in Brown Rice? Legumes, nuts, seeds, and whole grains (including brown rice) contain phytic acid. This anti-nutrient binds to calcium, magnesium, iron, manganese, zinc, and other minerals, making them insoluble. Therefore, your body cannot absorb and use them properly. Furthermore, this compound inhibits the enzyme amylase, which results in decreased starch digestibility. Because of this, many people experience bloating, constipation, stomach pain, and other GI symptoms after eating whole grains. In the long run, phytic acid may affect the gut flora, causing a chain reaction in your body. White rice has the bran removed, so it contains little or no phytic acid. Brown rice is higher in minerals, but phytic acid cancels out many of the benefits provided by these nutrients. Additionally, it contains up to 80% more arsenic than its white counterpart; this toxic compound accumulates in the bran and ends up in your bloodstream after ingestion. Arsenic has been linked to several types of cancers. Over time, it may damage your reproductive organs, contribute to cardiovascular disorders and affect brain function. About 90% of the arsenic in food is absorbed in the gastrointestinal tract. As the Journal of Preventive Medicine and Public Health points out, this compound may increase the risk of skin and lung cancers. It also inhibits the activities of various enzymes that support DNA synthesis, glutathione metabolism, and other biochemical reactions in the human body. Even though you may reduce the amount of arsenic in brown rice by cooking it thoroughly, you cannot eliminate it completely. Each type of rice has its benefits and drawbacks. White rice is processed and slightly lower in nutrients, but poses fewer health risks due to its low content of arsenic and phytic acid. It also has less fiber, which may work for or against you. Brown rice, on the other hand, is higher in fiber and more nutritious, but not necessarily more filling. Additionally, it contains potentially harmful compounds that may offset its benefits. Considering these facts, it’s hard to tell who wins the white vs. brown rice debate. The truth is that most of the nutrients in brown rice can also be found in various other foods that contain no arsenic or phytic acid. If you eat white rice as part of a balanced diet, it’s unlikely to develop vitamin or mineral deficiencies. Neither brown nor white rice is “bad.” Remember, moderation is the key. It’s your overall diet that really matters. What type of rice do you normally eat as part of your bodybuilding diet? 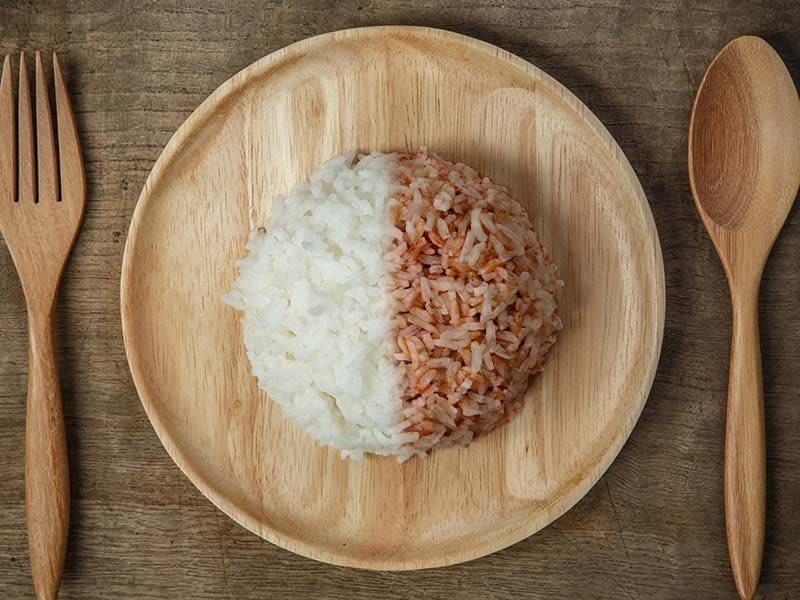 Do you prefer brown rice or white rice and is it because of the taste or the nutrition make-up of that food? Let us know!